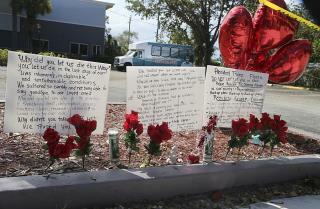 (Newser) – Two women who lived at a Florida nursing home that lost air conditioning during Hurricane Irma have died, becoming the 13th and 14th fatalities linked to the home, the AP reports. Hollywood police spokeswoman Miranda Grossman said Monday that Cecilia Franco, 90, and Francesca Andrade, 95, died from ailments suffered when the Rehabilitation Center at Hollywood Hills lost power Sept. 10 during the hurricane's passage. On Sept. 13, eight residents died and other residents were evacuated from the sweltering facility after the electric transformer that powered the facility's air conditioning was damaged during the storm. Grossman didn't say exactly when the women died, but said police are treating the deaths as part of the criminal investigation. The Miami Herald reports Franco's husband, Miguel Antonio Franco, who had also lived at the home, died Sept. 13. No one has been charged. The state has suspended the home's license. Last week, the facility let go of 245 workers, including doctors, nurses, therapists and others. And not a mention one of the governor who ignored their pleas for help and deleted their plea messages from his phone, who could have prevented every one of these deaths if he had chosen to do so. Being a powerful politician sure must be nice. It clearly puts you above the law.
" Last week, the facility let go of 245 workers," Crap, how big was that place? Sounds like a hospital. So sad and so wrong.